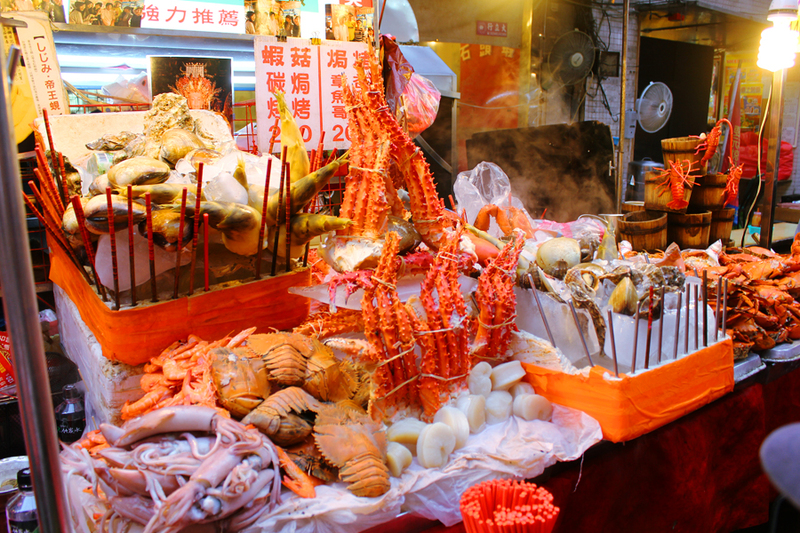 The main attraction of KeeLung, a district located at Taiwan's north-east coast, is definitely the Miaokou Night Market (廟口夜市). 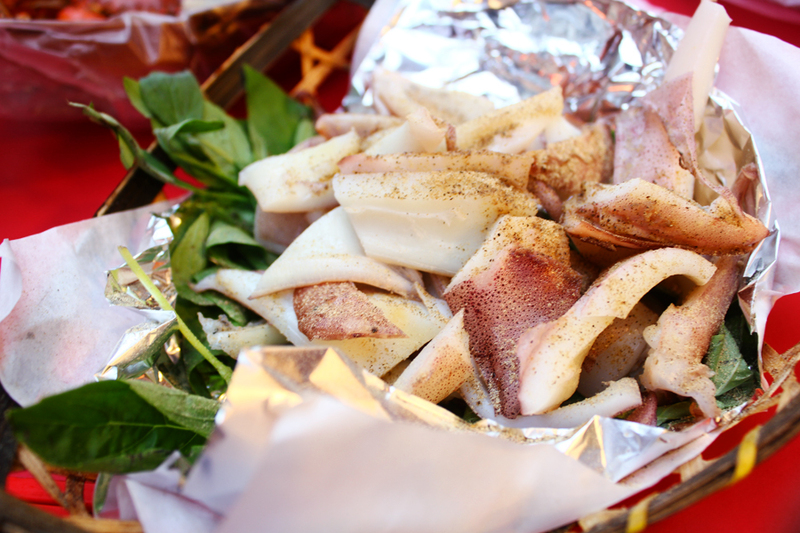 Like most of the night markets in Taiwan, they focus greatly on food. 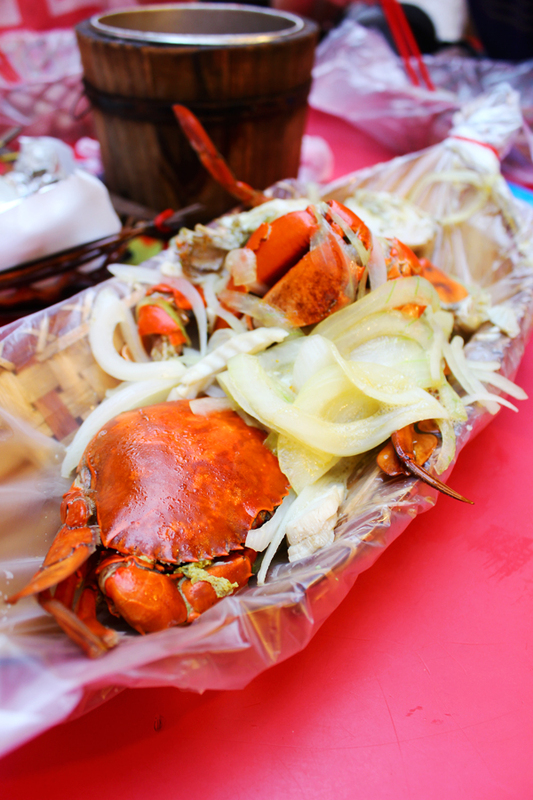 Although it's called a "night market", they are actually opened 24 hours to cater to the local fishermen and residents. Limbeh went there at about 4pm on a weekday and it was sibei (super) crowded. 1. From Taipei Main Station, take the Taiwan Railways Administration (TRA) to KeeLung Station. Throughout the day, train services are frequent (15-20 minutes). 2. 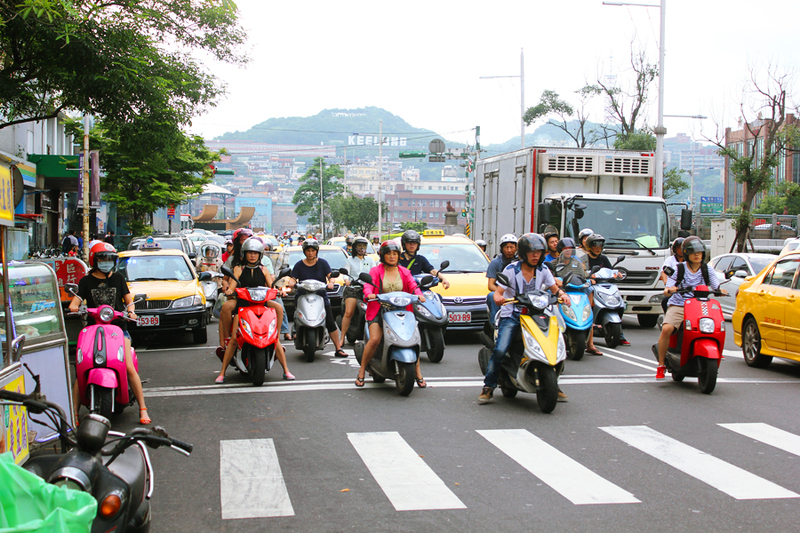 From Keelung Bus Terminal, cross the road and walk towards the harbour (along ren er (仁二) road). 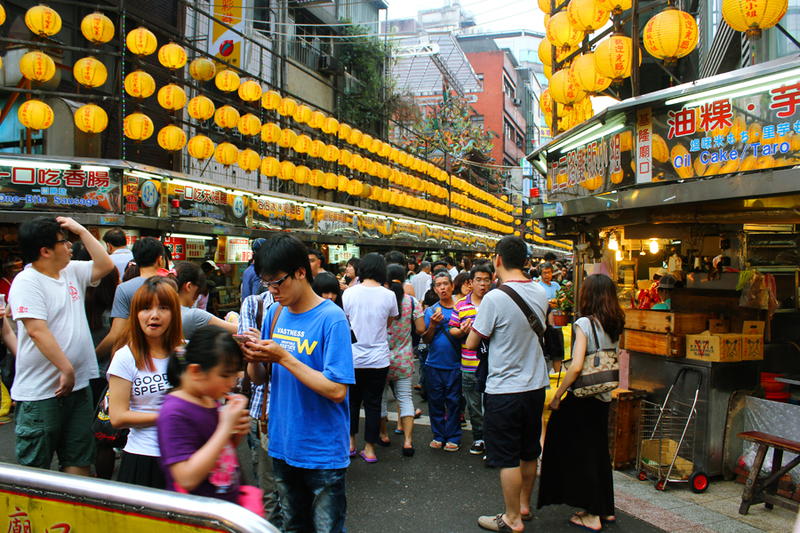 Continue to walk straight for about 10 minutes until you reach the junction of ren er (仁二) and ai san (愛三) road. You should see a McDonalds at the corner of the juntion. Turn right into ai san (愛三) road and continue to walk for 3 minutes. You should see Miaokou Night Market on your left (theavidphotographer, 2013). If you are still lost, just ask the residents there, most likely, they will be more than happy to point you to the right direction. The layout of this night market is very easy to navigate, because of it's cross (+) design. They really do sell a lot of stuff there, such as seafood, snacks, pig-blood cakes, corncobs, scallion pancakes, and shaved ice. 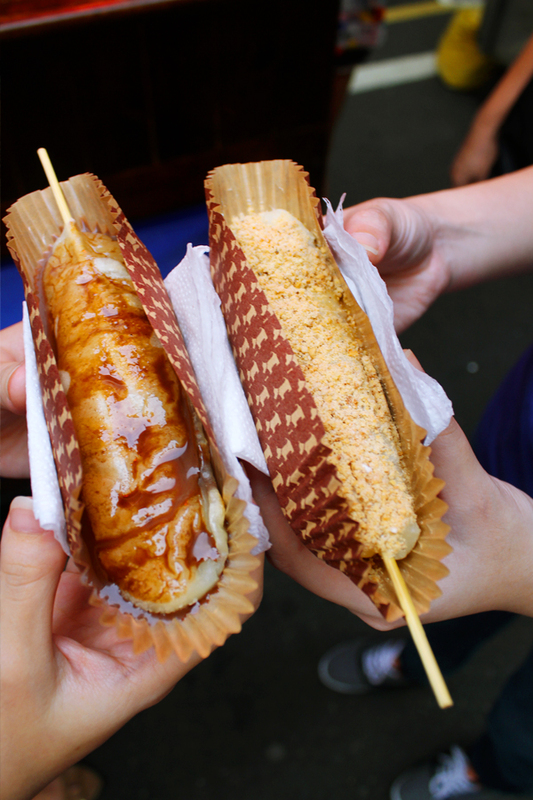 To make sure you utilise your stomach space well, I urge you to check out this guide: 13 MUST-TRY Street Food in Taiwan. For a start, I highly recommend these muah-chee (glutinous rice) babies, topped with a variety of toppings, such as caramel or the classic peanut shavings. 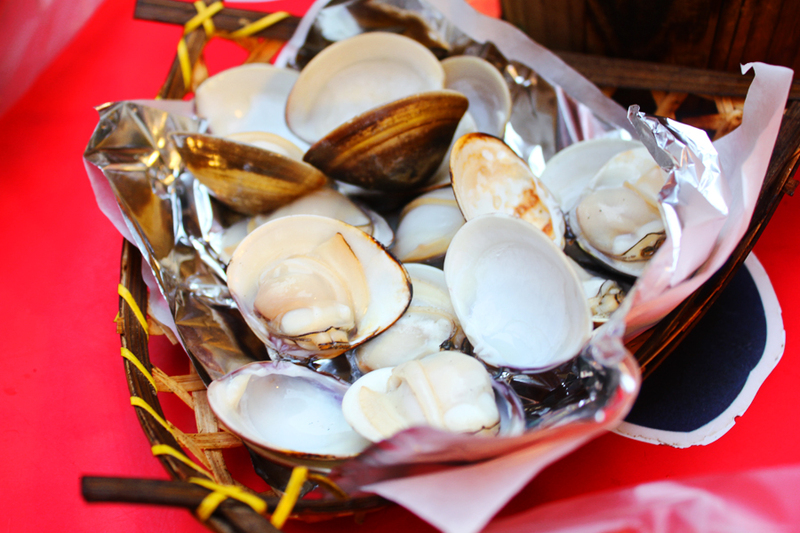 Being one of the largest ports in Taiwan, you should definitely try out their wide variety of seafood (which are probably imported fresh from the harbor daily). Singapore seafood not cheap, so you better eat until you song (satisfied) here. They have A LOT of stalls selling the same stuff, the hawkers will be touting like crazy, so please check their selections and pricing carefully (or you could do it the Singaporean way - by going straight for the stall with the longest queue). 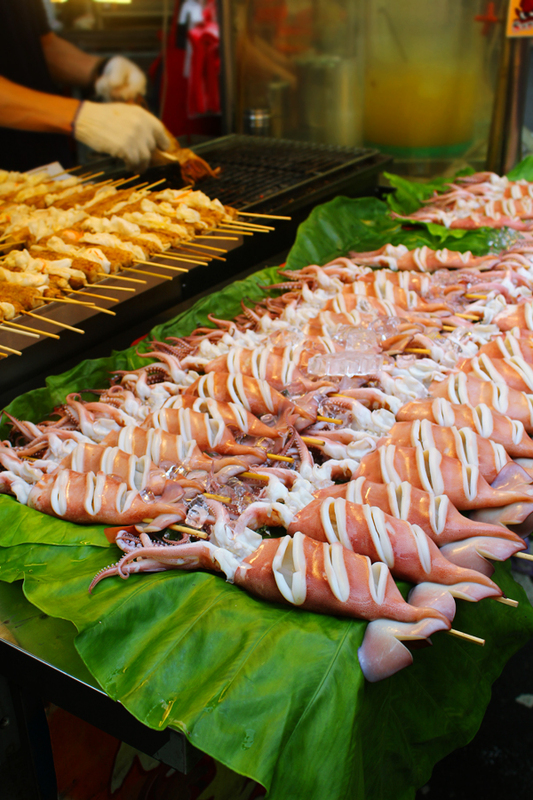 Here's what a typical seafood stall might look like, some with indoor (air-conditioned) seating as well. If you are looking to buy souvenirs, I highly recommend ma lao (麻粩), a crunchy, fluffy ball coated with peanut shavings, confirm plus chop (definitely) will satisfy your cravings. If you are travelling out of Taipei for the day, I highly recommend to end the day with KeeLung after exploring Jiufen, Jinguashi, and Shifen. 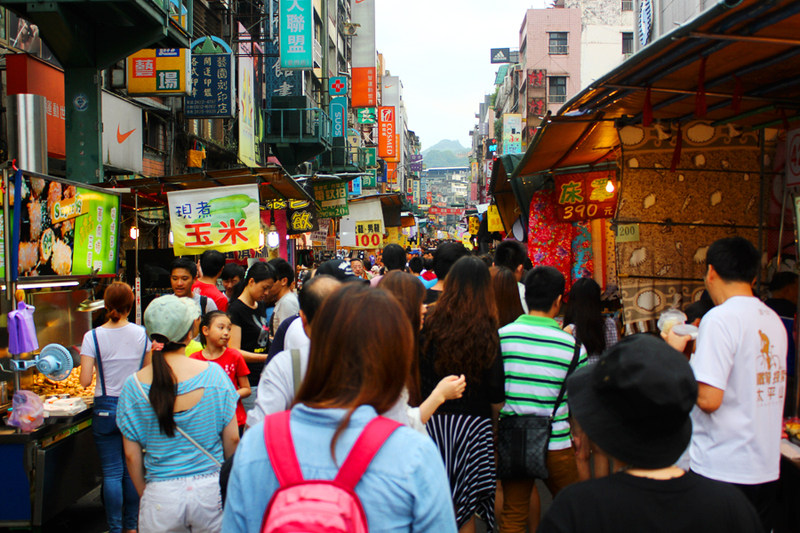 Check out the itinerary section of Taiwan for more details).